On the first day of gifting my true love gave to me…a workaholic BFF. This girl is the epitome of a powerhouse, always on her toes, dashing from one meeting to the next, laptop in tow, coffee in hand, and a look of unbreakable determination across her face. We all know her and we all don’t know how she manages being glued to her desk all day but we do know what she would like to get for Christmas this year. Make this busybody’s life a little more manageable with the Bare Me Beauty Dry Sheet Mask. This waste-free, mess-free reusable dry sheet mask, is the perfect gift. It has over 96% active ingredients and 100% natural origin ingredients that repair and nourish your skin from the inside out and penetrates deep into the skin. Did I mention it’s travel-friendly? Give the gift of a pop of color! This multi-tasking lip serum from FitGlow goes past just painting your lips a different hue. The plant-based serum hydrates and plumps your pucker with antioxidants, plant sterols, beet extract, and vegan collagen while improving the cell structure of your lips and reducing fine lines. It comes in a range of 10 glossy shades to leave your lips soft and hydrated. Perfect to throw in your bag because no one, especially your workaholic friend, has time for 3 separate products. Let’s be honest, your bestie loves crushing it in her career but all those late nights can add up. Just because she’s exhausted, doesn’t mean her skin has to be. This powerful serum from Alchemie Forever reduces fine lines, free radical damage, and dark spots. Packed with two types of retinol, Vitamin C, Hyaluronic Acid, Green Tea, Apple Stem Cells Extract it provides anti-aging benefits for all skin types. 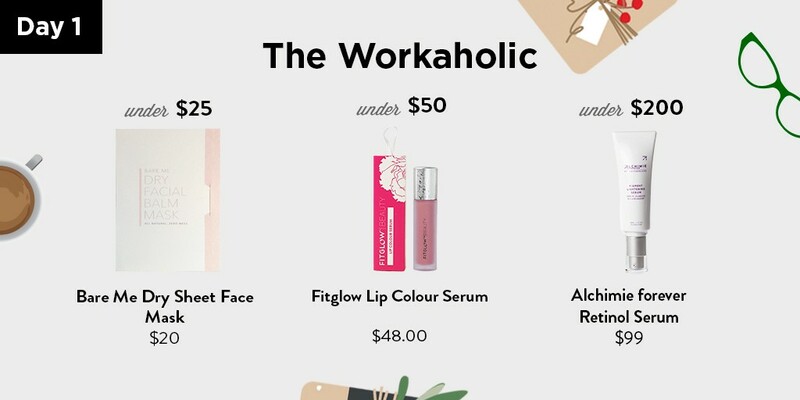 Think Dirty’s 12 Days of Gifting: Day 1 — The Workaholic was originally published in Think Dirty on Medium, where people are continuing the conversation by highlighting and responding to this story.